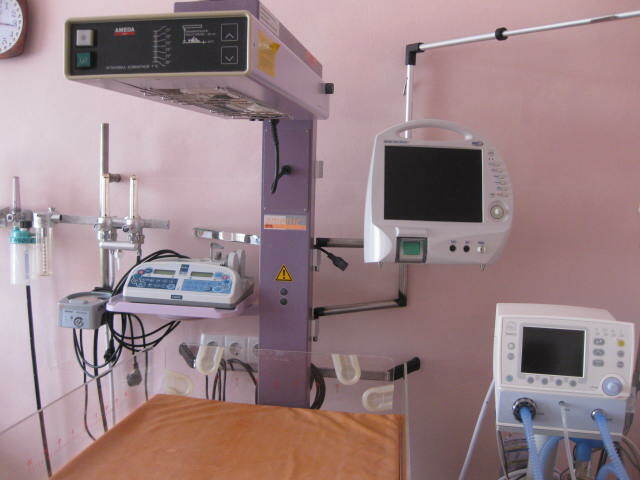 The Gorlovka Infant Hospital has a special department dedicated to the treatment and care of orphans from birth to age of four. On average there are 12-30 children at a time in the care of the hospital. These are either abandoned children or children whose parents are in the process of losing parental rights. It is both a treatment facility for sick orphans and a temporary residence for children who have not yet received legal orphan status as declared by the courts. Since 1991 children without families who are sick or with special needs have been placed in the Gorlovka Infant Hospital for treatment and care. Six separate room were set aside for them in the hospital because there was no place else for orphans needing special care or children with unclear orphan status. At the age of 4 they are transferred to an agency appropriate for their care. These children are available for adoption only by Ukrainians and they do not hold the legal status of full orphans until they are transferred. 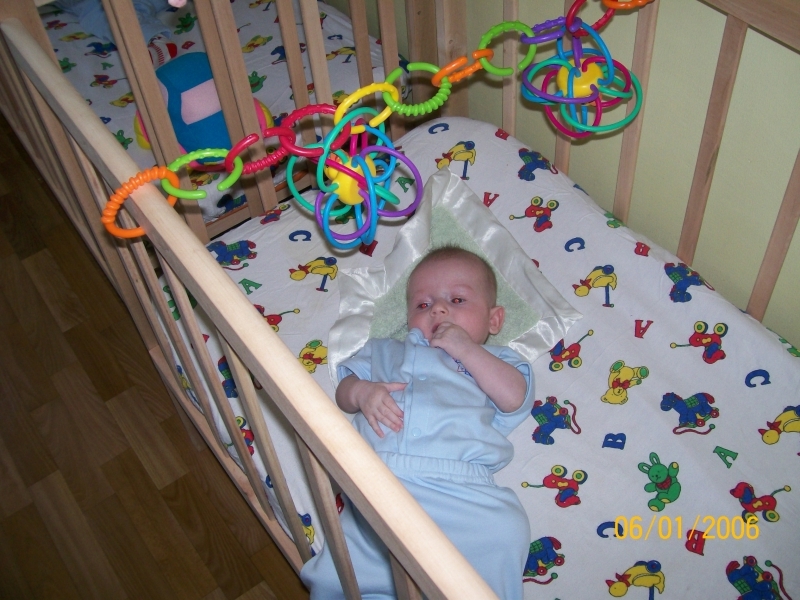 Many of the children that come through the Gorlovka Infant Hospital orphan ward are healthy. Some have special needs such as cerebral palsy, down syndrome, burns, hydrocephalus, and leg injuries. Still others are victims of parental abuse and receive treatment at the hospital while waiting for parental custody to be terminated and for an assignment to a permanent orphanage. The building itself is in good condition. They have recently been able to repair several rooms. There is little medical equipment available to them. Two shifts of some doctors, a caregiver, and a few nurses work with the children. Thanks for kind donations: Richard & Rebecca Soverns, Deborah Fortna, Leonard Lan, Tania Petricevich, Natalia Arjansteva, Sabina Kier, Antonio Navas Jaquete, Rachael Soverns, Jon Owen, John & Nina Crisp, Jean McKnight, Ivan Denyssevych, Drillstar Engineering, Joseph Broom, Maria Odessky, Andrew Nowicki, Jonathan & Monika Landis, Timothy Oehring, Reni Thomas, Jon Dibenedetto, Radmila Mandelblatt, Anonymous, Pavel Babarykin, E Heizler, Linnae Designs, Fionna Corey, Anonymous, Tom & Lee Santilli, John Benson, Tuggle, Ioannis Lamprianidis, Joyce Cobb, Amber Jordan, David Shields, Lauren Feingold, Natalya Saye, Collins & Associates, Katrina Gorman, Michael Hodgson, Daniel Elmore, Ksenia Chetverikova, Marilyn Pryle, William MacDonald, Chantel Moler, Anonymous, Lucy Ryan, Michael Catalana, Anna Polovko, Karen Gabbert, Britney Smith, Starla Kepley, Jessica Vine, Maria Ramos, Rose Heffernan, Linda Olliak, Grace Camus, Pamela Michaud, Michael Solis, Liberty Shepard, Joni King, Sarah Clouse, Eugene Florintsev (In Honor of Ilya Bass of Weston, MA), Jaime Solenberger, Megan Reid, Joanne Okura, Tom & Joan Petricevich, Mark Knight, Olena Delli-Pizzi, Andrea & John Janzen, Irene & Gregory Karg, Irene Karg, Virginia da Costa, Donna Craft, Megan Black, Amber Mohiuddin, Ekaterina Akulinicheva, Jessica Bailey, Sharlene Stewart, and our own permanent fund: Adam Sheda Memorial Fund.